Since the majority of states (and thus people) of the United States are landlocked, seafood does not play as important of a role in American diets as it does in other countries. 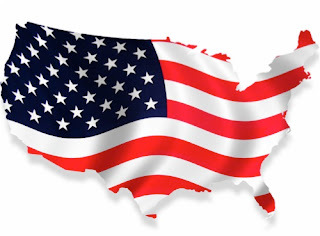 Although large American cities, such as New York, Boston and Los Angeles are located near the ocean, Americans, as a whole, tend to chose farm produce (beef, chicken, lamb ext) over seafood as their main course dishes. This is simply because America developed mainly as a farming society, and the traditions of having farm produce for meals was passed down from one generation to the next. However, many Americans (notably on the East Coast) enjoy having seafood on special occasions and seafood is still an important part of the American economy. Popular American seafoods, at restaurants, in the home and at parties, include lobsters, oysters and crab. Lobster is a popular seafood delicacy to many American, especially in the eastern United States areas of Boston and Maine, who are known for their lobster companies and restaurants. It’s considered a delicacy because of its high price: usually over $20 per pound to buy and more expensive in restaurants. Lobster can be eaten in a variety of ways, including in a salad, soups or usually by breaking of the claws and eating the meat directly off the body of the lobster. Lobsters are prepared by dropping the lobster, usually while still alive, into boiling water, thus killing the lobster and cooking it at the same time. Some animal activist groups have argued that this is an inhumane practice, which has led to legislation in some areas stating that the lobster must be killed (usually by cutting the head with a knife) before it is dropped into the boiling water. Oysters are another popular American seafood, especially at summer cookouts and BBQs. Although oysters are famous for creating a pearl, this kinds of oysters are not usually consumed. Therefore, one should not be afraid of getting an extra “surprise” in their meal. Oysters are cheap to buy, especially in the Chesapeake region where they are harvested, and usually cost less than $5 per dozen. Their cheap price and high nutritional value/low calorie value makes them a popular choice for summer parties. Oysters can be cooked in a variety ways, including: grilled, baked boiled and fried. The way that they are prepared is usually determined by the taste preference of the consumer. Oysters cheap price, high value and multiple ways to be prepared make them an excellent seafood choice for any event. Crabs are one of the most popular American seafood choices, making up 20% of all seafood consumed by Americans. Crab meat is high in nutritional value and varies in cost depending on if a person buys the entire crab or just the crab meat. Crab meat can be prepared in a variety of ways, usually depending on the kind of crab. For instance, soft-shell crabs are usually eaten whole (including the shell) while only the meat on the legs and claws are eaten on Snow Crabs. Crab meat can be formed into a variety of recipes, including soups, the popular American crab cake or being placed into seafood salad. Like with lobster, crabs are killed and prepared by being placed into boiling water. This practice with crabs, however, has raised little objection on ground of animal cruelty, as recent studies have concluded that crabs are unable to feel pain. Although seafood is not the staple of the American diet, as it is in many other cultures, seafood is still enjoyed by millions of Americans. Crab meat is a longtime American favorite, lobster is seen as a luxury food and oysters are enjoyed by all classes. Although there is the popular stereotype that Americans run off of fast food and food laced with chemicals, fried and processed foods are not among the top five most consumed foods by Americans. Surprisingly, four of the five most consumed foods are actually considered “healthy” by many dieticians. The five most consumed foods by Americans are: milk, cereal, bottled water, soft drinks and bread. Before the 19th century industrial boom, the majority of Americans were farmers. With this in mind, it makes sense that milk became a staple of the American diet, and many American recipes include milk. The FDA estimates that the average American will consume 30 gallons of milk per year. Although in some areas of the United States, such as farming communities, milk is consumed raw, milk is often bought after it has been processed and categorized into whole milk, 2%, 1% or skim milk. Milk is often consumed as a drink, either alone or mixed with other foods (notably breakfast meals) such as cereal and oatmeal. Milk is also an important ingredient in many products and recipes, such as: cheese, yogurt, cakes and pancakes. Cereal, although traditionally a breakfast food served in milk, can be eaten throughout the day (either served with cereal or by itself). There is a wide variety of cereals to choose from, ranging from the healthier (lower in sugar, calories, carbs, ext.) choices such as Granola, Raisin Bran and Wheaties, to the more more sugary Froot Loops, Lucky Charms and Frosted Flakes. Cereal advertisement is also an important industry. Companies tend to develop a character to represent their cereal (such as Tony the Tiger) in hopes of marketing their cereal. Cereal companies also offer periodical prizes within their cereals, such as CDs, free downloads and toys in further hopes of reaching more customers. Although not technically a “food”, bottled water ranks as the third most consumed product by Americans. There are a variety of factors that contribute to the rise in Americans choosing bottled water over tap; most notably the get-fit campaigns that have begun to plague the news and television commercials. Celebrities and health experts are calling upon Americans to control their weight and get healthy, and they usually endorse a bottled water brand in the process. Some Americans also chose bottled water, believing that this is safer than the traditional tap. The rise in bottled water use, however, has also brought about criticism from environmental groups. These groups claim that bottled water creates a giant carbon footprint, from the energy needed to create the plastic, transport the bottled water and the lack of bottles recycled. Instead of bottled water, these groups suggest that each person buys one large water bottle, that they refill from tap instead of buying bottled water. Sodas and energy drinks make up the soft drink category that ranked among the five most consumed foods in America. Even though consumption of these drinks are often discouraged by health officials, due to their high sugar content and links to obesity, soft drinks have been among the five most consumed foods for the past decade. Soft drinks are easy to buy, available at almost every store, restaurant and vending machine. Although their a known health risks, few experts expect that soft drinks will be knocked out of the top five anytime soon, with the average American consuming 50 gallons of soft drinks per year. Since bread is easily served with almost any dish at any meal, it’s easily understandable that it’s in the top five most consumed American foods. At breakfast, bread is often served as toast or bagels, both of which can be offered in a variety of ways. At lunch, bread is used as sandwich bread, again, which can be served on a variety of ways depending upon the consumer’s personal taste. At dinner, bread is often served as rolls or breadsticks. Although fast food is often stereotyped as an American food, fast foods cannot be found in the top five most consumed foods by Americans. Although there are unhealthy choices among the top five foods, such as soft drinks and sugary cereals, the majority of top five foods are healthy and important to any healthy diet, such as milk, water and bread. Summer barbeques (BBQ) are an important part of American culture. Friends and family gather outside to laugh and spend time together as they cook delicious chicken, hamburgers and hotdogs on the grill. If you’re hosting a BBQ, you want the food at your party to stand out among the dozens of other summer BBQ’s your friends will attend. Using popular meat platforms, such as BBQ chicken and hamburgers, but changing the way in which you cook them, creates unique dishes that your guests will enjoy and remember. Chicken has long been a favorite meat among summer BBQ’s. There are dozens of different ways to grill chicken, and thousands of BBQ sauce recipes on the web. When you are beginning to host your annual Summer BBQ, it’s important to try out several different BBQ chicken recipes on guests. You need to watch their reactions to the BBQ chicken and find out which recipes they liked best. When the you find a BBQ chicken recipe that the majority of the hosts enjoy, they should then try to perfect this recipe. 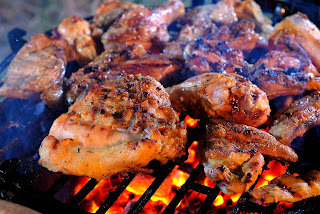 An important part of BBQ chicken is to find a seasoning that seeps into the chicken, and does not simply coat the surface. This way, the unique taste of the recipe will be present in every bite, not just the typical first several bites. Having a recipe that does this, such as a Honey Mustard sauce, will make the hosts’ BBQ chicken memorable. A fantastic Honey Mustard Sauce is made by mixing 1/3 C mustard, 1/4 C Honey and 2 Tablespoons of Mayo in a dish, and then coating this over the chicken before grilling. This recipe is known for seeping into the chicken, and creating the memorable taste throughout the chicken that guests will remember. Besides having great tasting food, having unique food can also help make your BBQ memorable. Unique dishes do not have to be strange or even that different, just something yummy that stands out. A great unique dish is the “inside out cheeseburger” where the cheese is on the inside beef patty. Although this sounds confusing, it’s really easy to make. To make an inside out cheeseburger, you need to create to separate, thin patties and then sandwich the piece of cheese between the two patties. When you grill this new sandwich, the cheese will cook between the two, causing it to ooze out when eaten. This is a very tasty dish that guests will remember and continue to talk about for summer to come. In addition to the main BBQ meats, side dishes are also an important part of the BBQ meal. 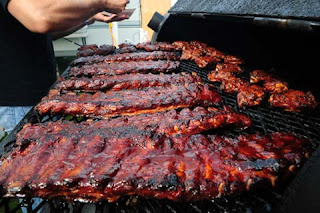 Popular BBQ side dishes include various salads and desserts. Popular salads include the famous chicken caesar salad, garden salad and pasta salad. When serving salads, it's important to remember to offer many dressing choices, as people will often not try a salad unless their favorite dressing is offered. Fruit salads are also popular. When serving a fruit salad, it’s usually a wise choice to use traditional fruts (such as watermelon, grapes, honeydew, grapes and strawberries) instead of also mixing in less popular fruits (oranges, star fruits, blackberries) as these fruits tend to be less popular and may cause people not to try your salad. Popular summer desserts often include fruits, such as berry pies and tarts or ice cream. Summer BBQ's are an important part of many American’s summers. It’s a time for family and friends to gather, tell stories and enjoy great food. When making BBQ chicken, remember to use a recipe that allows the taste to soak into the chicken, and also to create unique food items such as inside out burgers. Creating entrees such as this will cause guests to remember your BBQs for summers to come. It’s no secret that Americans love fried food, especially French fries. French fries can be found served at almost every restaurant and summer fair or festival. Even though the basis of the french fry seems simple: fry a potato and then sprinkle on salt, there are many different variations to this seemingly simple recipe. As well as the various unique recipes, many American may be surprised that our modern French fry barely resembles the french cut potatoes to which Americans were originally introduced. The first recorded “french fries” were the potatoes that Thomas Jefferson had served to him in 1802 at the White House, reportedly served in a “French cut manner”. These potatoes probably resembled a traditional British chip (a large chunk of potato that is fried) instead of the thing fried pieces of potatoes that have become known as French fries today. 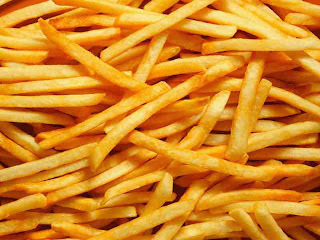 The modern french fry was first mentioned in an 1856 cookbook, and the title of the recipe was “French Fried Potatoes”. In this recipe, the potato was to be cut into thin pieces (not chunks) and then boiled in fat until golden brown. At the golden brown stage the potatoes were to be removed and sprinkled with salt. During the 20th century, the popularity of the French Fried Potatoes continued to spread, and the name was shortened to French Fries. 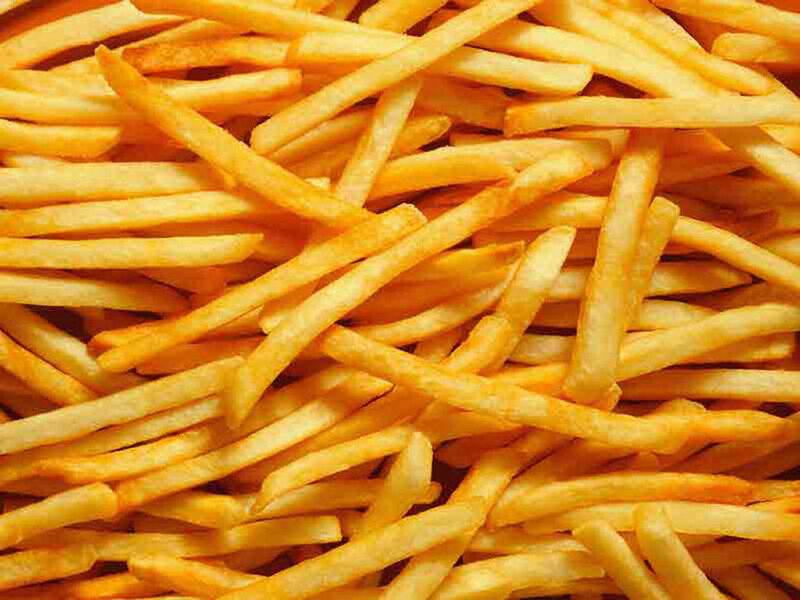 During the 1940s, the J.R. Simplot Company began to sell French fries commercially. However, the popularity of the french fry skyrocketed in 1967 when McDonalds asked the J.R. Simplot Company to supply them with French fries (replacing the tendency to cut the fries in restaurants). American based fast food chains, such as McDonalds, Burger King and Arby’s have continued to spread the popularity of the American version of the French fry around the globe. Although the basis for the French fry is to deep boil it and then sprinkle on salt, there are many variations on how to design and season the fries. Americans use a variety of different cuts for their fries, depending upon the region, resturant and personal taste. Some cuts include: steak fries, thick-cut fries, wedge fries, curly fries and tornado fries. Although curly fries can be found pre-packaged and made at home, they’re traditionally bought in pizzerias and at food carts at fairs. These fries are not straight, but instead curl. This shape is made possible by the potato being cut by a special slicer. Curly fries are often popular among children. Tornado fries are a larger version of curly fries. They are made by skewering the entire potato, and then slicing it with a special slicer. The potato is then spread evenly among the skew and deep fried. No matter how you enjoy your french fries: deep cut, wedge, curly or tornado style, French fries are enjoyed with a variety of seasoning and dipping choices. Most commonly Americans add additional salt (if necessary to taste preference) and then dip the fries in sauces such as mustard, mayo or ketchup. French fries can be enjoyed by the young and old, in homes, at restaurants and at summer festivals. Ever since cocoa beans were discovered to be sweet over 2,000 years ago in the tropical South American rain forests, chocolate quickly became a favorite treat among the natives. When Spanish explorers brought the beans back to Spain, Europeans began to develop their own recipes and uses for chocolate. As global trade developed, different countries and cultures developed different recipes and uses for chocolate. In Ukraine, a country located in eastern Europe, chocolate has become an important ingredient in their native dessert, medivnyk. 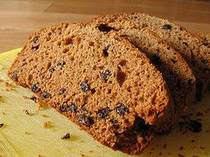 Medivnyk is a honey and chocolate cake that is traditionally served during the Christmas and New Year’s season. Several hundred years ago in Europe, sugar was scarce. This caused bakers to experiment with using different ingredients, such as chocolate and honey as sweeteners. Modern Ukranians argue that this lack of sugar was for the better, as delicious cakes such as Medivnyk were born as a result. Traveling further east, to Asia, chocolate is still served a desert. In India, chocolate and almond delights are created from basic ingredients. Butter, sugar, eggs and flour are mixed together and pressed into a pan and baked into a cake, before having chocolate poured over it and sprinkled with almonds. Although considered an Indian dish, this recipe was highly influenced by the British, who had presence in the country 1613-1947 AD. Continuing to travel east, Chocolate Ginger Lychees are a favorite dessert among the Chinese. The desert is made by peeling and drying lychees and then filling the interior of the lychees with cherries or spices. The filled lychees are then dipped into chocolate and extra chocolate can be dripped on carefully to form special patterns. The deserts should then be chilled until eating. Traveling south to the big island of Australia, Aussies like to use chocolate to make their delicious Coconut Pavlova with Chocolate Mousse and Bananas. This pie dessert has a chewy coconut crust and a creamy, mousse chocolate filling. Americans who eat this dessert claim that it tastes like a combination between coconut cream pie and chocolate cream pie. Continuing on our journey around the continents, the next stop is South America, home to the original cocoa bean. Although natives originally used the bean as a sweetener and in cooking, chocolate is now mainly used for desserts. A popular Brazilian desert is Brazilian brownies. Brazilian brownies are popular among dessert critics, who claim that Brazilian brownies create the perfect brownie: chewy and soft, yet a tad crispy and hard on the edges. 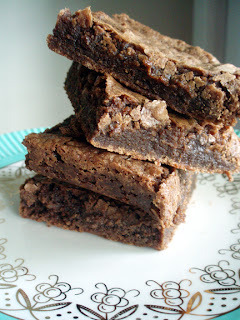 The recipe for Brazilian brownies are similar to that of American brownies, containing flower, eggs and sugar. To be an authentic Brazilian brownie, however, the baker must use Brazilian cocoa. Traveling north to the United States, chocolate is used in a variety of foods and to decorate many desserts. Chocolate can be found in America’s favorite cookies, oreos and chocolate chip cookies, and also in donuts and a variety of cakes. Chocolate can also be used to add eloquence and class to a fruit, and chocolate dipped fruits are able to sell at high prices, especially chocolate dipped strawberries and bananas. Who would have guess that the small cocoa beans discovered several thousands years ago in South America would have such a large impact on the global dessert world? Chocolate can be found on use in every continent, ranging from the medivnyk bread of Ukraine, to the chocolate ginger lychees of China and to a wide variety of sweet uses in the United States. Americans love Chinese food, or so they think. Take out Chinese restaurants and delivery services can be found in almost every large town. These restaurants have menus containing the well-liked General Tso’s chicken, Lo Mein and Won Ton Soup. However, this selection of “Chinese Food” will not be found in stores in China or on the dinner tables of the Chinese in China. All of these foods have been “Americanized”, and the only pure Chinese choice on an American Chinese restaurant's menu will probably be the white rice (if it’s not fried). Authentic Chinese food is not recognized as “Chinese food”, as food in China is unique to certain regions, not the entire country. Authentic Chinese dishes are recognized by regions, such Fujian, Cantonese and Xinjiang. Fujian dishes are derived from China’s Fujian province. Fujian dishes stress unami taste, and are light but flavorful. Since the Fujian is a province located along the ocean, fish are an important staple in Fujian’s people diets, and thus in their cooking. 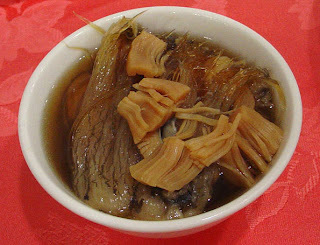 Woodland plants, such as mushrooms and bamboo, are also an important ingredient in many Fujian dishes. Fujian's are known for creating soups and stews with their food, and serve a stew or soup with every meal. When preparing the food, special attention is given to the knife skill and cooking techniques, believed to enhance the flavor, aroma and texture of the soups. A popular Fujian soup is Buddha Jumps Over The Wall. This dish was created during the Qing Dynasty, and has remained a Fujian delicacy ever since. The soup requires two days to prepare, and includes: shark fin, quail eggs, bamboo, sea cucumber, chicken, pork and mushrooms among other ingredients. The process for preparing this meal is long, because the shark fin has to be soaked in a special mixture for several hours. Another Chinese province famous for their cuisine is the Guangdong province. Food from this region is known as Cantonese cuisine. Although the Guangdong province is also located on the ocean, important ingredients in the Cantonese dishes include pork and eggs. 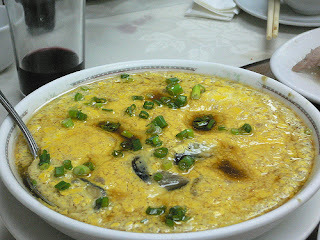 A famous Cantonese dish is known as Chinese Steamed Eggs. In this recipe, eggs are consistently beaten, as they would be for American scramble eggs or omelettes. The egg mixture is then steamed. The mixture, after steamed, is then added to chicken broth or water to create a more tender texture. The Xinjiang region is the northwestern region of china that lines the board of neighboring Kazakhstan and Mongolia. Since Xinjiang is not located along a large body of water, fish is not a staple food in dishes or diets of people of Xinjiang region. Instead, a popular Shou La Mian, a home made noodle, is an important dish. The noodle is made from flour, water and salt. The dough is rolled into balls, and then stretched by hand into long strips. They are then boiled until very soft, and then served with meat or vegetables. 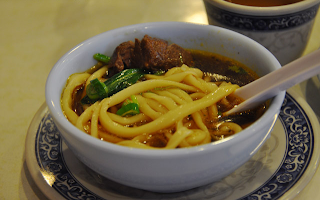 An important dish in many Xinjiang dishes is soup, so Shou La Mian compliments these dishes well. Authentic chinese food; created, served and enjoyed in China, hardly resemble the popular dishes in American take-out Chinese restaurants. Instead of friend American Chinese food, such as fried rice and General Tso’s, Chinese enjoy dishes authentic to their regions. Authentic dishes contain ingredients important to their region; seaside regions such as Fujian and Guangdong incorporate fish into their dishes, while wood regions such as Xinjiang include noodles and woodland plants.